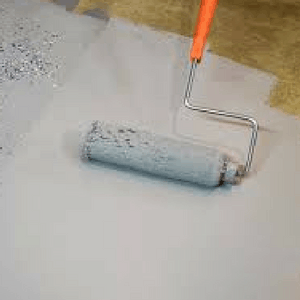 So, you’re looking to paint over an old concrete floor that has perhaps begun to peel, but you don’t know where to start. Keeping your concrete surfaces painted and in good condition is an ideal way to improve the aesthetics of your home, while offering protection to the floor underneath. Unfortunately, the paint will sometimes suffer from imperfections or peeling over time and require changing, or you may just fancy a color change. You can’t simply paint over your existing painted floor; you’ll first have to remove the old layer of paint. If you skip this crucial step, then your paint won’t adhere properly, and you could run into problems down the line. The paints could even react badly and cause clouding in the paintwork. Below, we’ll look in detail at all the steps that you need to follow to get your concrete flooring looking as good as new, with an attractive, glossy shine. It’s important that you don’t skip any steps to ensure that your new paint adheres properly and enjoys a long lifespan. 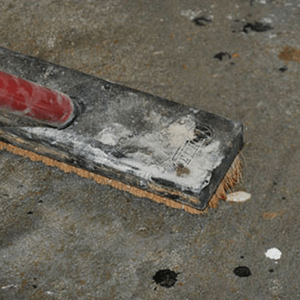 First, you’ll need to completely remove the old paint from your concrete floor. It’s best to handle this task in one larger job, and you can achieve this using a simple paint stripper. However, for bigger tasks, try to find a stronger product and be sure that you follow any manufacturer advice around personal protective equipment if it is required. Also, be sure to cover up any surfaces that you don’t want damaged, including the legs of any furniture, plant life, and other metals or wooden objects. Apply the paint stripper to your painted surface in a layer that is approximately twice as thick as the layer of paint on the floor. You’re going to want to leave the chemical in place for several hours, until you see wrinkling in the paintwork. This means that it’s time to clean away the paint stripper and hopefully the paint, too. You can remove the paint stripper and peeling paint using a pressure or power washer for optimum results. These machines are typically powerful enough to slough away the paint that has now been loosened by the paint stripper. You may need to make several passes at the surface using a nozzle with a high-pressure setting; if any paint remains, then you may need to scrub it away using wire wool or a wire brush. By using your pressure or power washer to clean away the paint stripper, you’ll have also gained the double benefit of removing any dust and debris from the surface. The next step is to use a chemical cleaner and degreaser to ensure that your surface is completely clean and free from oily stains that could cause your paint not to adhere properly to the surface. 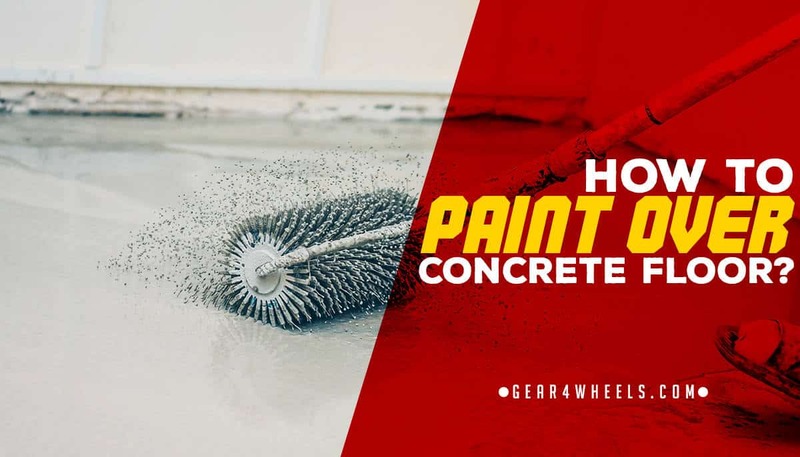 This means that they etch tiny abrasions into the concrete surface, which improve the adhesion of the paint that you’re about to lay on the concrete floor. Once you’ve fully cleaned the surface using this chemical, then you should let it dry out completely, before moving onto the final step. Depending upon the product that you’ve chosen, you may have one or more steps here. Whereas some garage floor paints are a simple tin that you can crack open, stir and begin painting with, others require a little more preparation. Epoxy paints, for example, typically require the mixing together of 2 separate chemicals prior to use. Make sure that you follow the instructions set by the manufacturer. That said, when it comes to application, they’re all generally the same. You’ll find it easiest to tackle this step with a roller brush, as the length of the handle helps you to stay out of the way of the paint, whilst being able to reach all corners of the flooring. You should also find it quite easy to spread the paint out evenly using this piece of equipment. If your product came equipped with color flakes, then now is the time to apply them. Spread them evenly across the surface of the paint while it is still wet. Once dry, this will afford a professional, showroom finish to your garage floor. After following the above process, you should be sure to adhere to the manufacturer’s instructions on how long to wait before treading on the surface. In general, you’ll usually find that foot traffic is safe after around 24 hours, with cars normally being able to drive and park on the painted floor after around 72 hours. Providing you look after the surface and rapidly clean up any troublesome spillages, you shouldn’t have to resurface anytime soon.